This is my mother's recipe and I use it for nearly every cake I bake. 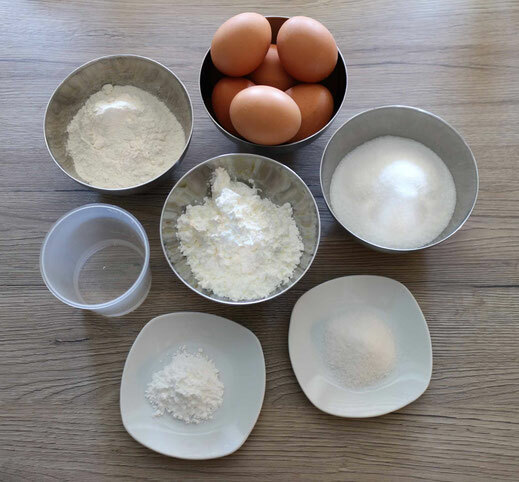 It's simple to expand for larger cakes as I will give you the general amount of the ingredients you need per 1 egg. 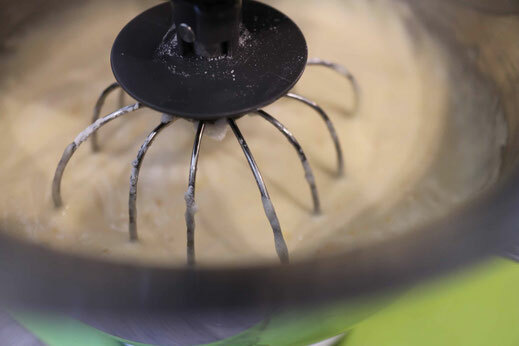 For a normal cake (which you can cut into 2 layers) I use about 6 eggs. 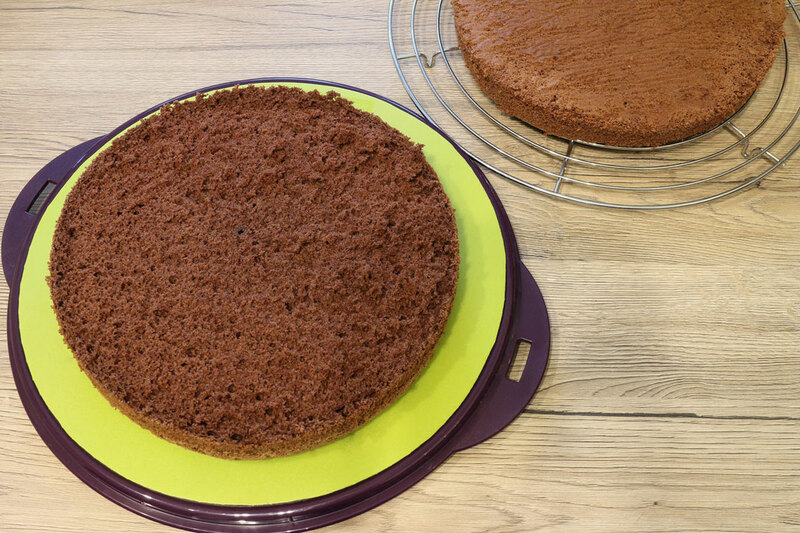 If you want to bake a chocolate sponge cake you can add per egg about 1/2 tablespoon of cocoa powder to the flour. Separate the eggs into egg white and yolk. 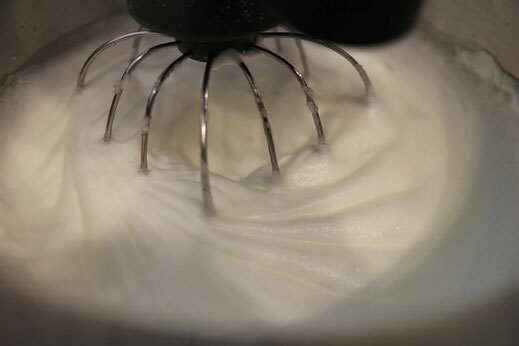 Beat the egg white and whater till you get stiff peaks. Now add the sugar and vanilla sugar in 2-3 batches. 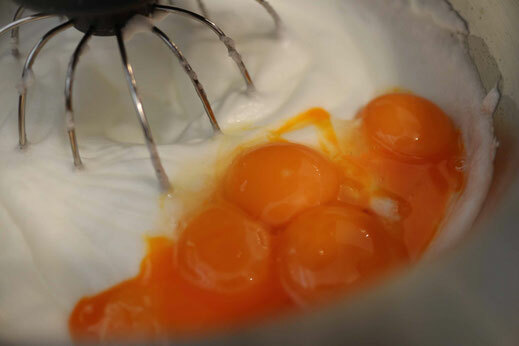 Next you add the egg yolks and fold them carrfully under the egg whites. As last step fold carfully the flour, starch and baking powder under the mixture. I always use adjustable ring pans without bottom instead of spring pans. 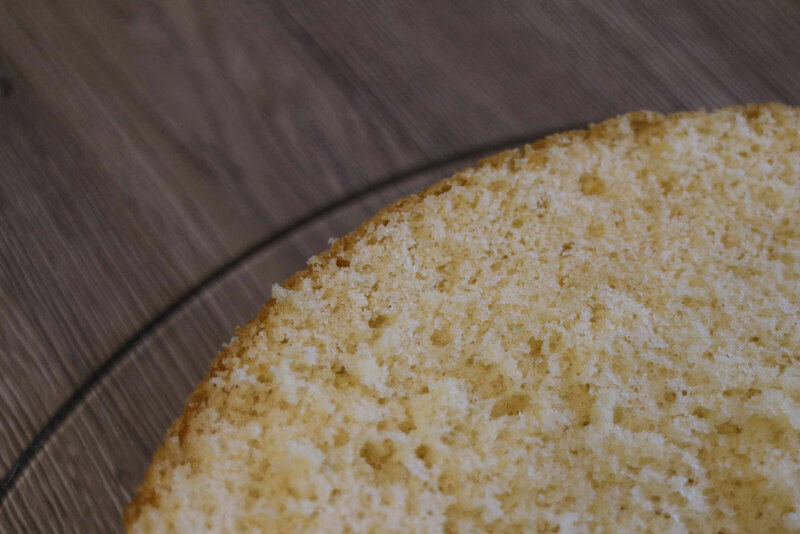 I love this kind of pan because you can get every size you want with one pan, you don't have to add any greasing and it's super easy to get the cake out of the pan just by cutting around the edge and remove the baking paper from the bottom. To prevent the batter running out of the pan I use two ring pans around each other and have the baking paper sticking up between them. 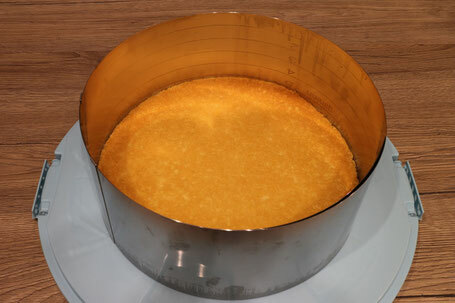 Fill in the batter and bake the cake about 30min at 170°C convection or 190° top/bottom heat. If you have a bigger batch you might have to adjust the time. The best way is to use a toothpick and check if it comes out clean or with crums sticking to it, but without any raw batter. If this test is ok you can take the cake out of the oven and let it cool down.